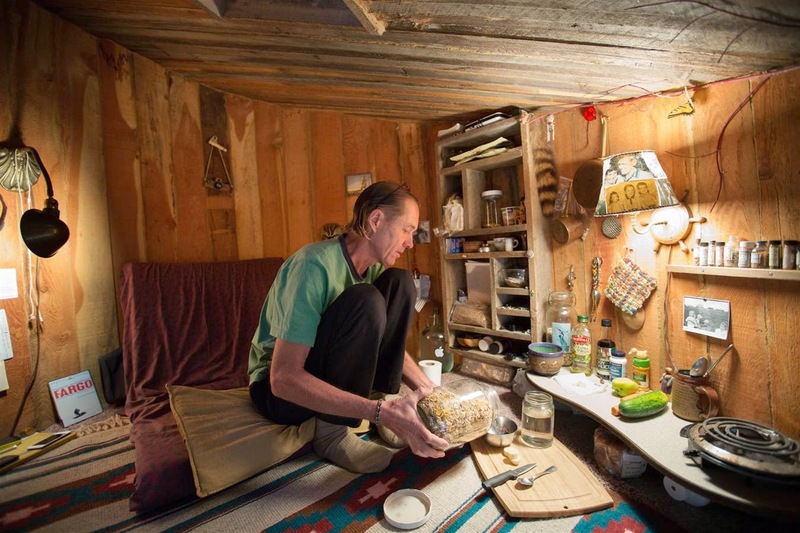 Meet Dan Price, a man who lives on $5000 a year by living in an underground "hobbit hole" he built from scrap wood. 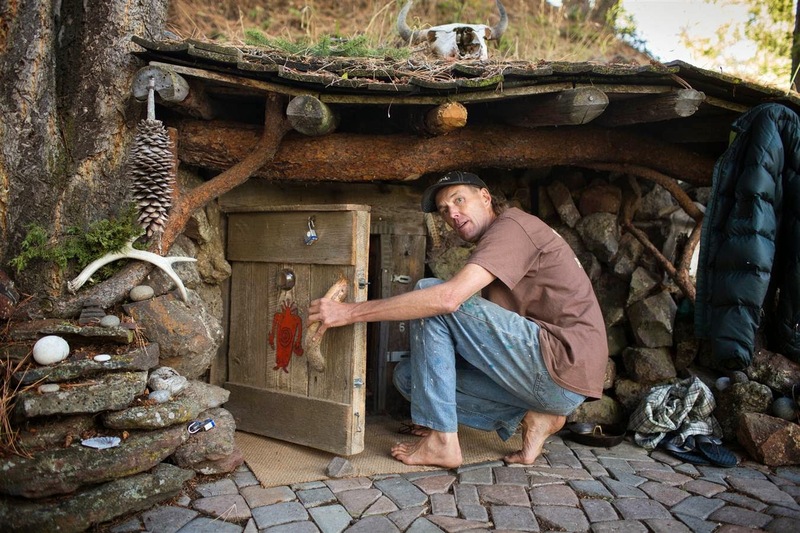 Dan crouches to enter what he calls his 'Hobbit hole' house, which he built into a hillside in the small town of Joseph in northeast Oregon. Using scrap wood, he spent $75 to build it; most of that paid for fasteners and sealants. The living space is eight feet across and shaped like a circle with a four-feet-high sloped ceiling. "The things I need are food, clothing, shelter," said Price, who lives on about $5,000 a year. Adopting a life of radical simplicity, he said, "stopped all of my worrying about money and jobs." With his one spoon, one fork and one knife, Price prepares very simple meals. He adds oats, nuts and grains to whatever cereals are on sale, and since he doesn't have a refrigerator where he can store milk, he pours water on his cereal. 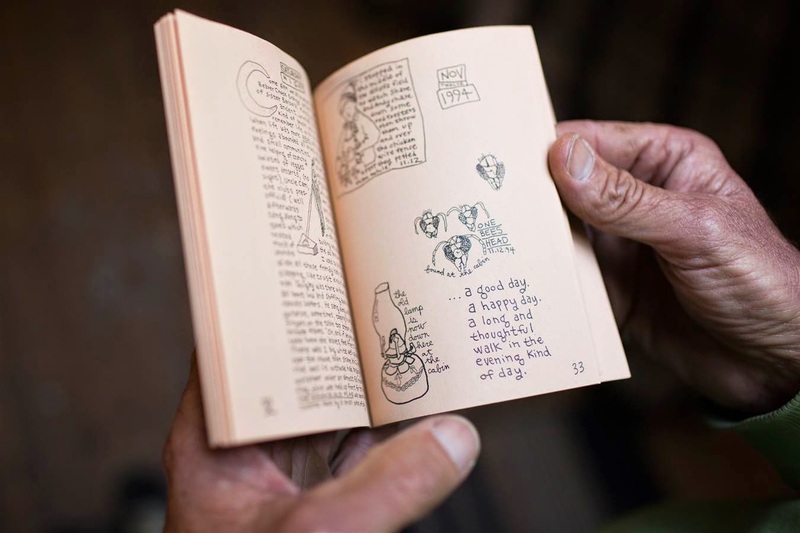 Price thumbs through an issue of "Moonlight Chronicles," an illustrated journal of his life's adventures that he produced for about 20 years. "Chronicles" served as an artistic outlet and a modest income stream for Price, allowing him to approach sponsors for goods such as tents and clothing in exchange for mentions in his journal. For Price, who has no washing machine or dryer, doing laundry means cleaning his clothes in the river that runs along the edge of his property. He dries his clothing on a line. "What happens when you get richer and richer is you dream of making a paradise for yourself," he said. "What I have here is what rich people have." 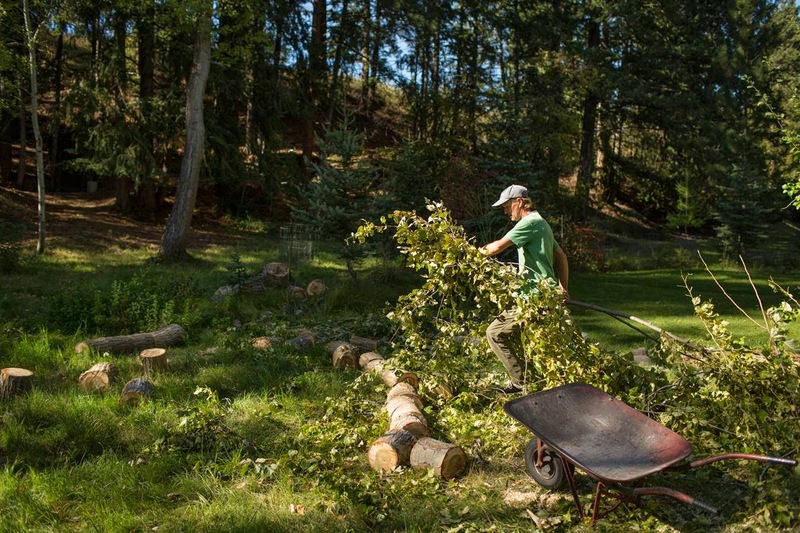 Price clears brush from a cottonwood tree he felled the previous day in the meadow where he's lived for 23 years. He removes one cottonwood each autumn, replacing those trees with evergreens which he says tend not to drop large limbs during storms. Price leases the property for $100 per year. 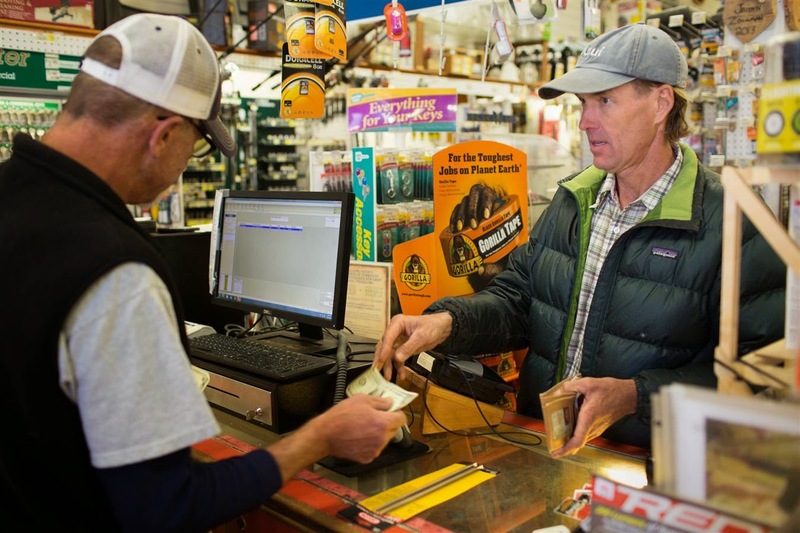 Price avoids buying new tools, preferring instead to find them at garage sales or on Craigslist, and to wear them out as much as possible before replacing them. 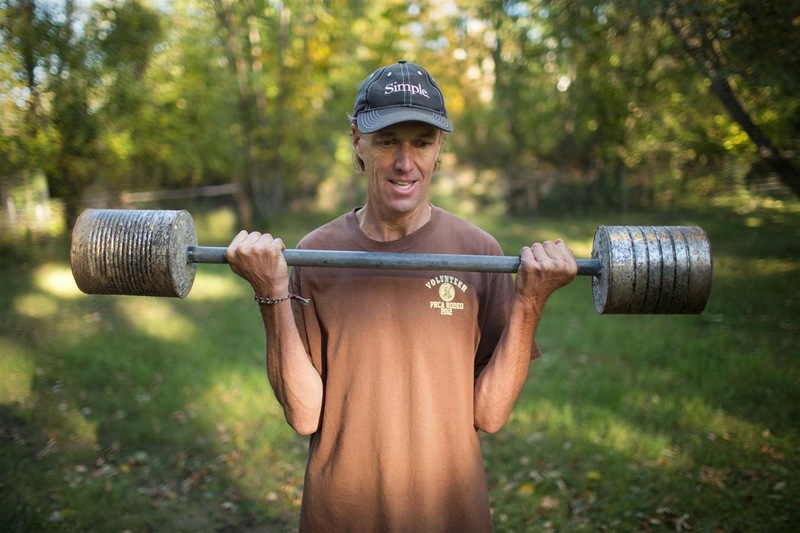 For exercise, Price curls a barbell he made from scrap material and concrete. He hasn't kept health insurance over the years. Three years ago, Price got a $3,000 bill from a hospital after suffering a kidney stone. "I said dude, I don't have $3,000. Can I set up a payment plan?" Hospitals are so accustomed to people skipping out on their bills, he said, that they "love it when you approach them" to figure out a way to pay. Price rides a recumbent tricycle along a rural road near Joseph, Oregon. He doesn't own a car and gets around mostly by pedaling or walking, which he says saves money and helps keep him fit. 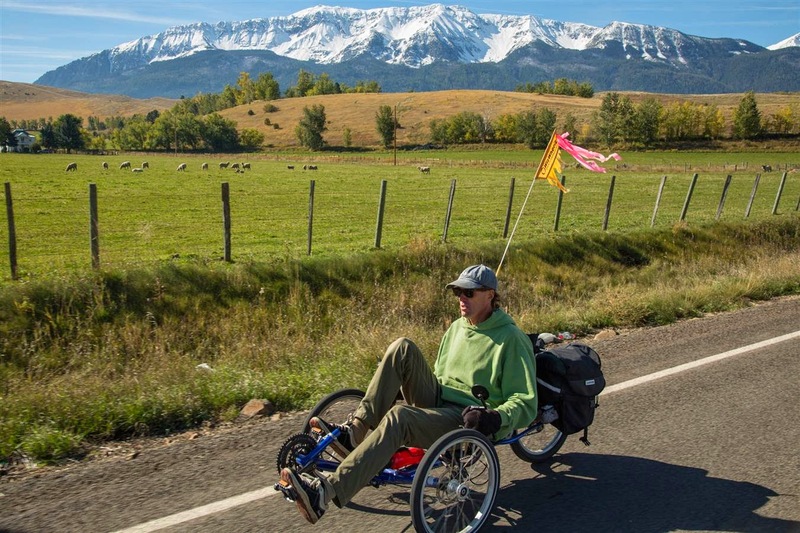 In 2001, he got a sponsorship from a tricycle manufacturer and chronicled a 4,500-mile bike journey from Ore. to Key West, Fla., in his journal. For six dollars, Price buys a file to sharpen a friend's chainsaw before cutting down a tree in the meadow where he lives. "People get this real high when they buy something. That's why they buy stuff all the time. I'm the opposite. When I buy something I get this depressed feeling." 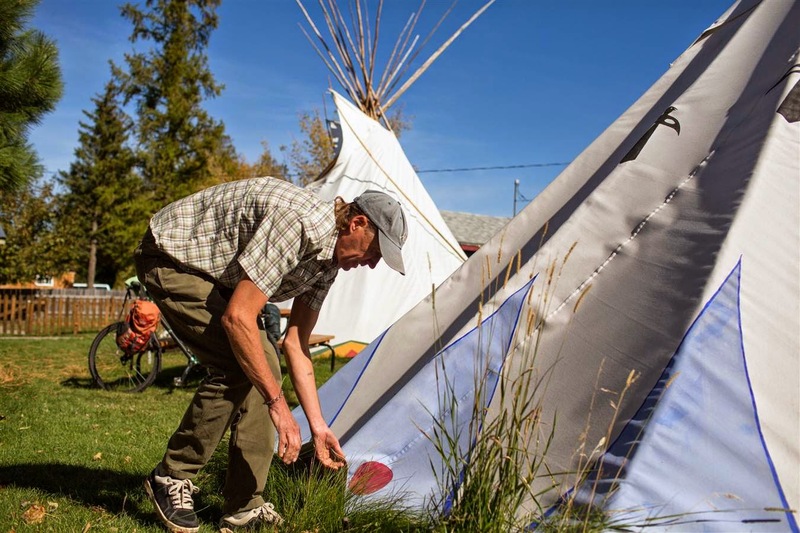 Price helps dismantle a teepee at a Nez Perce Native American photo exhibit in Joseph, where he volunteers the expertise he gained from living in a teepee before building the hobbit hole. "When we got here in 1865 there wasn't one bucket of concrete anywhere, telephone poles, fences, barbed wire, roads. And yet they had lived here successfully for thousands of years without touching the environment. That was the hugest thing that ever happened in my head. Apparently the hunter gatherer types had all kinds of free time. And so that really impressed upon me - I'm not gonna do what every one else is doing. I'm going to go a whole different direction." During a sponsorship lull in his Moonlight Chronicles, Price saw an ad for a job to work as a caretaker at the local cemetery. "It was like a revelation. Caretaker, there's something so cool about that word. Like being a monk. I love mowing and taking care of a place. 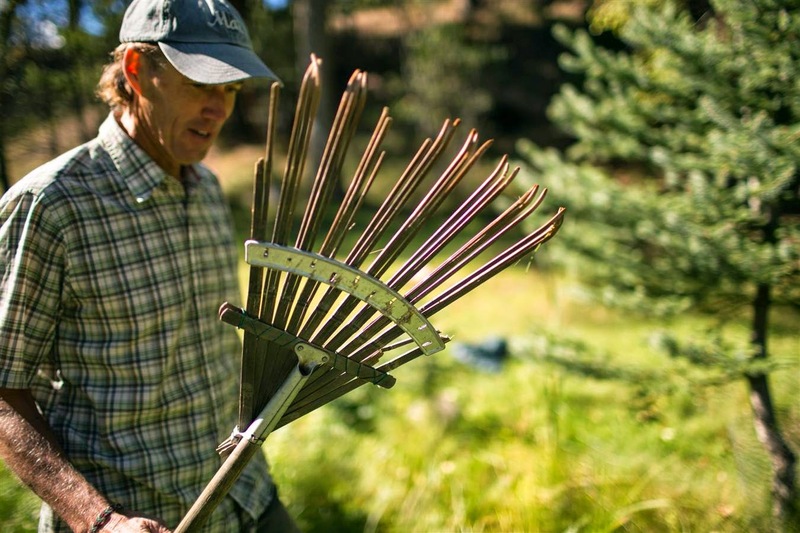 I wanted the job so badly I started cleaning up [the grounds] before I got the job." 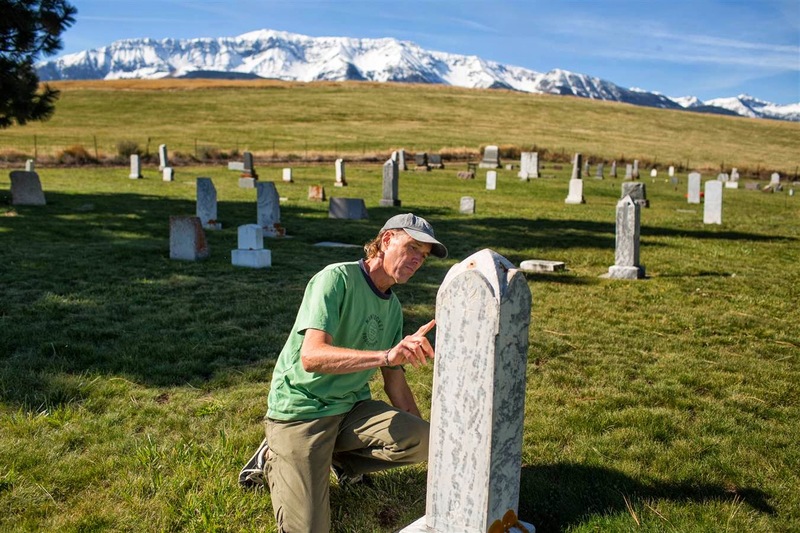 He worked there for two years, making $475 per month, and developed such a bond with the place that he returns to visit, pondering these markers of "a person's entire history."